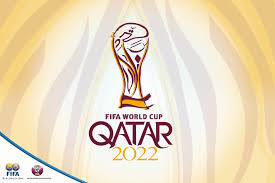 According to Sports Illustrated senior soccer writer, Grant Wahl, FIFA has decided to move the 2022 World Cup in Qatar to November and December so that the games can be played outdoors and avoid the country’s brutally hot summers. A FIFA task force will recommend this move which could be approved by the FIFA Executive Committee as early as next month. If this move is approved, the 2022 World Cup would conflict with many of the world’s top leagues. Will these league’s take a six week hiatus for the World Cup? Logistically, I do not believe these league’s can take off six weeks without shortening the season. They could possibly take off two weeks until the World Cup reaches the knockout stage. However, there would still be many top players missing games for their club team who pay an exhorbitant salary to its top players and transfer fees to obtain stars from other teams. Money talks and players make much more money playing for their club teams rather than representing their country. I can see some club teams manipulating some players to stay with them and not play in the World Cup. This will not happen to the Lionel Messi’s of the world, but is a possibility for players who are always fighting to make the starting XI or prevent being transferred to another club. FIFA should have never been granted the 2022 World Cup over other countries including the United States due to their blazingly hot summers. The World Cup should take place in June and July to appease the major soccer leagues around the world. One can only hope FIFA gets their act together and does not approve moving the 2022 World Cup to the winter months. Please visit The Game Day Report at http://thegamedayreport.com to view more of my articles or those by other writers on a variety of trending topics in the sport’s world.